In the first century of the Common Era, encounters with Jewish Christians were a daily occurrence both in the Holy Land and in the diaspora. During his days of preaching, Jesus of Nazareth addressed Jews. His disciples were even instructed not to approach Gentiles or Samaritans. On the few occasions that Jesus ventured beyond the boundaries of his homeland, he never proclaimed his gospel to pagans, nor did his disciples do so during his lifetime. Jesus was concerned only with Jews. We learn from the Acts of the Apostles that the primitive community of Jesus followers consisted of 120 Jewish persons, including the 11 apostles and the mother and brothers of Jesus. His brother James is presented as the leader of the Jerusalem church and the married brothers of Jesus acted as missionaries. The Jerusalem Jesus party was known as the Way. They were called Christians only later. In many ways they were like their Jewish neighbors. They considered themselves Jews, their outward behavior and dietary customs were Jewish, they observed all the rules and regulations of the Mosaic Law, and they continued to frequent the Temple of Jerusalem. But they were religious communists. Prior to the admission of Gentile candidates, the affiliates of the Jesus party appeared to represent a Jewish sect. They were like the Essenes and exhibited similar customs such as the daily solemn meal and life from a common kitty. They were referred to in the middle of the first century as the sect of the Nazarenes and later as the the Poor. On the feast of Pentecost that followed the crucifixion, Peter and the rest of the apostles were metamorphosed under the influence of the divine Spirit into born-again champions of the faith in Jesus, the risen Messiah. The author of the Acts of the Apostles identifies the big demographic watershed regarding the composition of the Jesus movement. The revolution started around 40 CE with the admission into the church of the family of the Roman centurion Cornelius in Caesarea, and later that of the Gentile members of the church in Antioch. The Jewish monopoly in the new movement came to an end and Jewish and Gentile Christianity was born. In the Syrian city of Antioch in the late 40s CE, members of the Jerusalem church were joined by Gentiles evangelized and baptized by Jewish Christians originating from Cyprus and Cyrene. The mother church of Jerusalem dispatched Barnabas to run the new mixed community, and Barnabas persuaded his friend Saul or Paul to join him. The Jewish and the Gentile Christians of Antioch coexisted happily and ate together. When visiting the community, Peter willingly participated in their common meals. However, when some zealous representatives of the Jerusalem church headed by James the brother of Jesus arrived in Antioch, their disapproving attitude compelled all the Jewish Christians to discontinue their table fellowship with the brethren of Greek stock. The outraged Paul called Peter a hypocrite, creating the first major row in Christendom. After Paul's first successful missionary journey to Asia Minor, the entry of pagans into the Jesus fellowship became an acute issue. A council of the apostles, attended by Paul and Barnabas, was convened in Jerusalem, at which James the brother of the Lord, the head of the mother community, overruled the demands of the extremist members of his congregation and proposed a compromise solution. Gentiles wishing to join the church would be exempted from the full rigors of the Law of Moses. The new rules were intended for converts in the diaspora. In Jerusalem different conditions prevailed. The Jerusalem council of the apostles marked the beginning of the separate development of Jewish and Gentile Christianity. They both agreed on some essentials and ardently expected the impending second coming of Christ, the resurrection of the dead, and the inauguration of the Kingdom of God. But in other respects they saw things differently. The original Judaeo-Christian baptism and the breaking of the bread were transformed in the Gentile church under the influence of Paul. The former developed into a mystical participation in the death, burial and resurrection of Jesus, and the latter became a sacramental reiteration of the Last Supper. The perceived differences soon led to animosity and to an increasing anti-Jewish animus in the Gentile church. The Didache, or Doctrine of the Twelve Apostles, probably composed in Palestine or Syria, is our last major Jewish Christian document preserved in full. First published in 1883 from an 11th-century manuscript, it is generally assigned to the second half of the first century CE, thus probably antedating some of the writings of the New Testament. Its religious program is built on the essential summary of the Mosaic Law, the love of God and of the neighbor, to which is added the golden rule in its negative Jewish form, "Whatever you do not want to happen to you, do not do to another", instead of the positive Gospel version, "Whatever you wish that men would do to you, do so to them". The lifestyle recommended is religious communism: "Share all things with your brother and do not say that anything is your own". The Didache seems to recommend observance of the Mosaic Law. Teaching authority in the Didache lay in the hands of itinerant prophets, supplemented by bishops and deacons. These were not appointed by the successors of the apostles, as became the rule in the Gentile churches, but democratically elected by the community. The Didache contains no theological ideas about the redeeming Christ or the divine Word and never calls Jesus the Son of God. This expression is found only once in the Didache where it is the self-designation of the Antichrist, "the seducer of the world". The Jesus of the Didache is the great teacher, who is expected to reappear soon and gather the members of his church into the Kingdom of God. Ideas of atonement and redemption are nowhere visible. The Epistle of Barnabas is one of the earliest expressions of Gentile Christianity. It is probably from Alexandria and was most likely written in the 120s CE. It almost made its way into the sacred books and is included in the oldest New Testament codex, but was finally declared non-canonical. The aim of Barnabas is to instruct his readers in "perfect knowledge" (gnosis) by revealing to them the true meaning of the essential biblical notions. He insists that the Jews are mistaken in taking the institutions and precepts of the Old Testament literally. The laws of Moses are spiritualized in the new law revealed by Jesus. Sacrifice should not amount to cultic slaughter but demand a broken heart. According to Barnabas, those endowed with gnosis know that the grace of the true circumcision of the heart is dispensed by means of the cross of Jesus. For Barnabas and his Gentile Christian followers, the covenant between God and the Jews was never ratified. When Moses smashed the two stone tablets inscribed by God, he rendered the Jewish covenant null and void. It had to be replaced by the covenant sealed by the redemptive blood of Jesus in the heart of the Christians. Barnabas' portrait of Jesus is considerably more advanced than the Didache's Servant of God. He calls Jesus the Son or the Son of God a dozen times. This Son of God had existed since all eternity and was active before the creation of the world. Barnabas explains that the Son of God took on a human body because without such a disguise no one would have been able to look at him and stay alive. The ultimate purpose of the descent of "the Lord of the entire world" among men was to suffer "in order to destroy death and show that there is resurrection". The outlook represented by the Didache has no place in the religious vision of Barnabas. The parting of the ways between Jewish and Gentile Christianity is manifest. The Epistle of Barnabas marks the start of the future doctrinal evolution of the church on exclusively Gentile lines. Judeo-Christianity began to decline in the second century CE. As St Jerome wrote in a letter to St Augustine: "While they wish to be both Jews and Christians, they are neither Jews nor Christians." Jesus of Nazareth proclaimed a radically simplified version of the law of Moses and the religion of the Hebrew prophets. The early community of his followers is shaped by charismatic phenomena, tight corporate discipline, the expectation of the end of the world, and certain social rituals. They talk about Jesus as a man of high spiritual dignity. What follows is a steady drift away from the religion of Jesus and a loss of interest in Judaism. The greater the dignity ascribed to Jesus, the stronger the urge to denigrate and disown his Jewish identity. The Christian community develops a complex cosmology in which Jesus has become a divine being manifested on earth. It is different from the religion of Jesus and of his first followers. Geza Vermes is familiar with Jewish thinking in the age of Jesus and Paul. His Jesus represents an intensified version of Mosaic and prophetic faith. Vermes sees Platonic themes among the elements that work the change in Christianity. If he is right, claims about the revealed authority of traditional Christian faith are dubious. The creeds are the product of secular political and intellectual influences. The authors of the Dead Sea Scrolls thought of their community at Qumran as the real temple. The temple in Jerusalem was an empty shell. In the New Testament, God lives among his people. And if the community around Jesus is now a temple, the high priest is Jesus. As this develops into the idea that the angelic high priest really carries in himself the divine name and power, the doctrine of incarnation steadily takes form. Vermes does not quite allow us to see the energy behind the extraordinary claim that Jesus was the vehicle of unconditional creative power and the enabler of a new kind of worship that the creed of 325 enshrined. 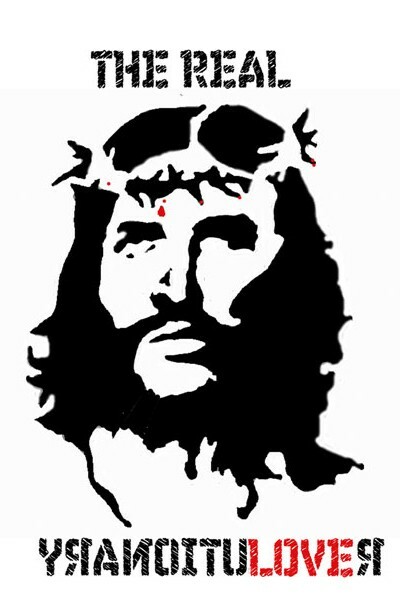 AR Modern Christians need to get back to the early and more realistic understanding of Jesus of Nazareth.